Details: These pictured are still too big, I ran them throught the wash for a 3rd time. Now they fit! THe men's slipper seems too roomy as far as height gos though. 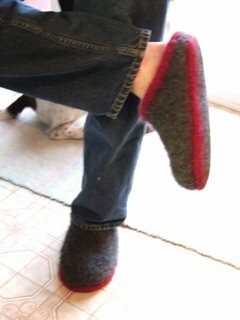 It would be better to just make the slipper longer, not taller for a bigger foot.